Rogers Nursing: Compassionate. Engaged. Transforming lives. At Rogers, our patients are our number one priority. And our nurses are key to our success. By engaging in a challenging and rewarding career as a Rogers RN, you will have a significant impact on patients and their families. In a supportive and safe environment, we constantly aim to improve the care we deliver and strive to make a difference for our patients every day. It’s not by chance that Rogers has earned a national reputation as a leading provider of mental health and addiction treatment. It’s the way we care for our patients to produce excellent clinical outcomes that prove the effectiveness of our treatments. It’s the way we work with each other. Our compassionate care model starts with a strong commitment to place respect and dignity at the forefront of every interaction with patients and each other. It’s engaging in interdisciplinary teamwork to treat patients holistically. These distinctive traits have made us a nationally recognized, not-for-profit provider for children, teens, and adults. Variety, career progression, and the opportunity to transform lives every day. These are just some of the reasons for joining Rogers. All this in addition to great benefits. With an outstanding reputation, built up over a 110 year history, we offer unique opportunities for career advancement across a variety of behavioral health service lines treating various conditions and ages. With nine residential programs, three hospitals, and six outpatient centers in Wisconsin, we also offer treatment across the nation in Florida, Illinois, Minnesota, Pennsylvania, Tennessee, and California. A $5,000 sign-on bonus is now being offered for registered nurses at all Rogers locations. Our locations serve as training sites for over 200 RN students drawn from prominent nursing schools in the Midwest. Rogers also offers clinical placement for psychiatric nurse practitioner students. All our students benefit from capstone learning that provides the opportunity to focus on the area of nursing that best suits you as an individual. 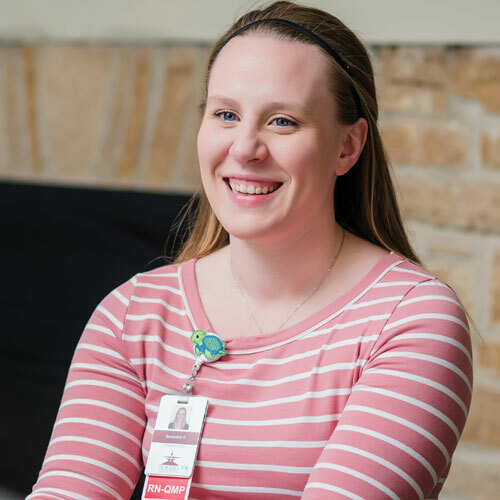 With extra support and training across behavioral health, all our staff want to help you feel welcome and able to discover insights into a professional nursing career. We currently have clinical inpatient and outpatient placements available in Brown Deer, Oconomowoc and West Allis; plus further outpatient placements in Kenosha. Plus, students can have the opportunity to work with a variety of age ranges from child and adolescent to adult. Students should contact their school’s program placement coordinator who will work with Rogers to find the right opportunity for you. We aim to help our new nurses provide the highest standards of care as quickly and efficiently as possible. That’s why we have developed a specific orientation program for nurses entering the organization. Every learning plan will be individually tailored, and the program will cater for nurses from all areas and levels of professional experience. Our orientation features an intense 10-day classroom training including an overall Rogers orientation plus nursing-specific modules. Nursing orientation also integrates simulation experiences and patient care experiences on the unit. 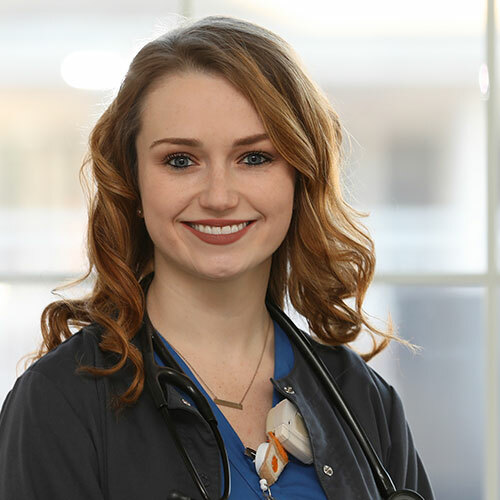 Once the initial orientation is complete, each newly hired nurse works with a trained preceptor who develops an individualized learning plan based on your experience and knowledge. Rogers welcomes the opportunity to work with new graduates who have a passion for behavioral health. Our onboarding process is designed to support new nurses and assure competence in key nursing and assessment skills. "I’ve been a Rogers employee for just over five years now, and I can’t imagine working elsewhere. I’m currently working towards my Master’s Degree in Nursing, specifically specializing in psychiatry. My time working at Rogers is valuable to both my personal life, as well as my educational life. The experience I’ve gained, and continue to gain, through my work at Rogers is priceless."